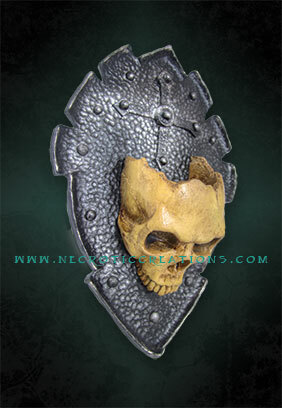 Highly detailed life size skull mounted on a replica shield. 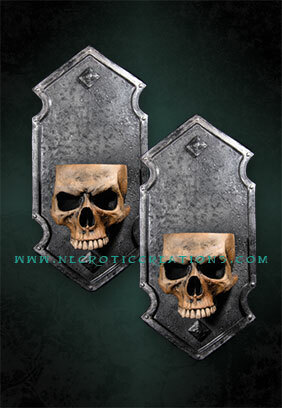 Optional features include a flicker (candle) effect coming from the top of the skull, complete with power supply and wall mount. Life size highly detailed skull on a replica shield with LED flickering light to emulate a flame. 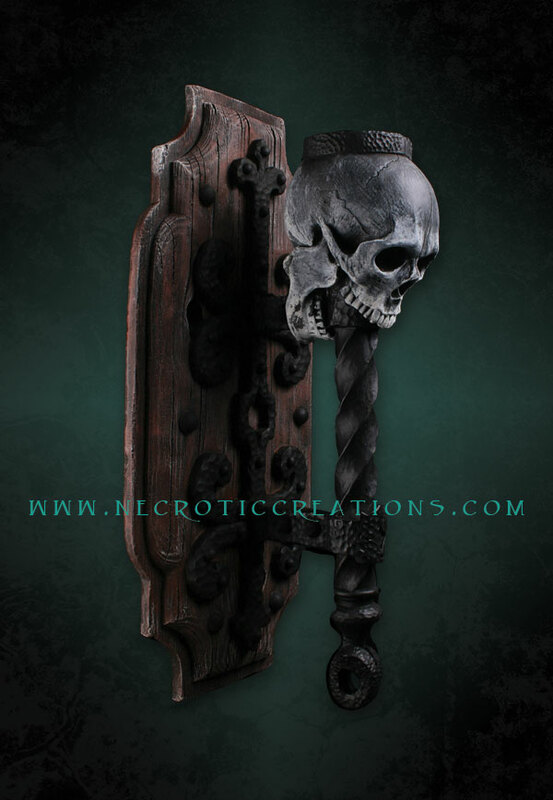 Perfect for any dark hallway in your dungeon or castle. 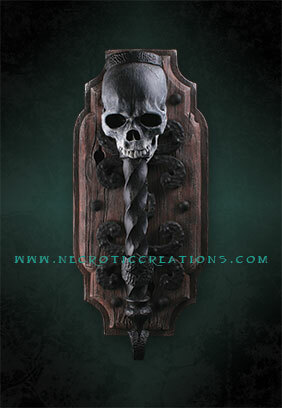 Also provides a haunting accent flanking a doorway or fireplace. Comes complete with power supply and wall mount. 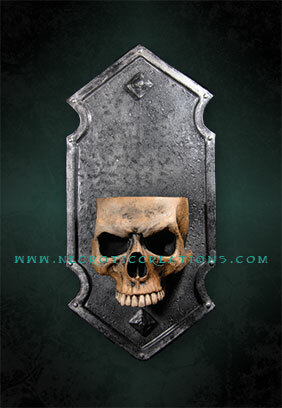 Highly detailed life size skull mounted on a replica shield. 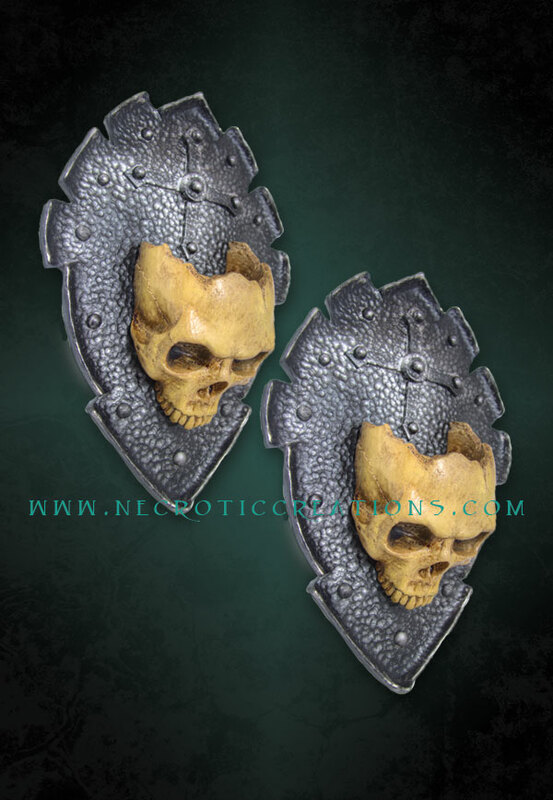 Features flicker (candle) effect coming from the top of the skull. Comes complete with power supply and wall mount. Highly detailed life size skull mounted on a replica gothic style mounting plate. Features flicker (candle) effect coming from the top of the skull. Comes complete with power supply and wall mount.